controlling depths as shallow as 5-6 feet in many places. civilization of the United States. We have also been having a wonderful time with guests here in Belize. We are in Guatemala now. Blue Kai is in the Rio Dulce and we are (right now) doing a bit of land travel before Jim leaves us next week. We will update more about our recent travels, including the Bay Islands. Unexpectedly, we visited all three and Susan is now a certified scuba diver after a brief weather layover in Roatan. We then had a super brief stop in the Sapodilla Cays on the far southern end of Belize, before getting to Guatemala. It's quite hot here in Guatemala right now, but we have been VERY pleasantly surprised by the quality of the food we've been eating. A few random pics for now (these are what is on my iPad here in the hotel in Flores - the good stuff on the cameras is yet to be downloaded). 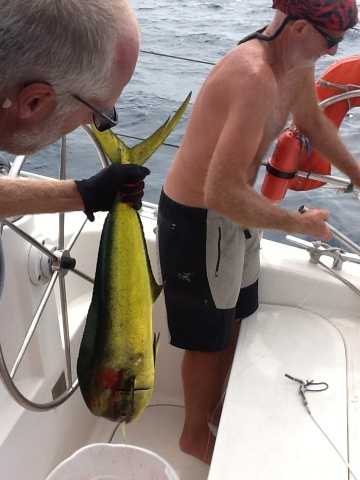 First, Jim's two awesome catches during his time on Blue Kai. A Mahi Mahi caught between the Vivorillos Cays and Guanaja, Bay Islands, Honduras. 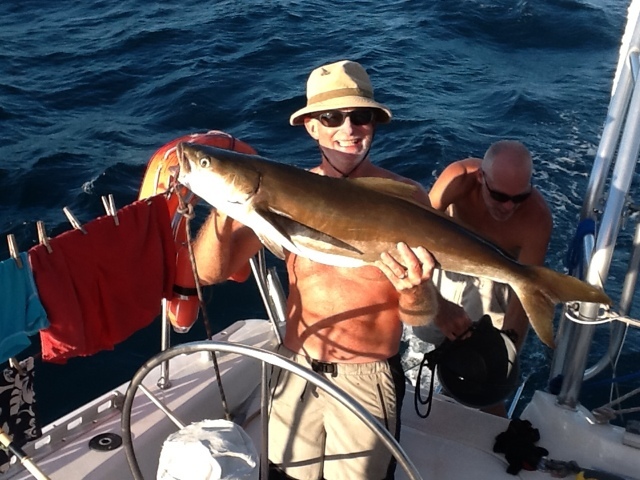 And then a Cobia caught just before we anchored at Tres Puntas Guatemala (just 10 miles out from the entrance to the Rio Dulce). Yu-uu-um. And finally, Rye at Tikal today. 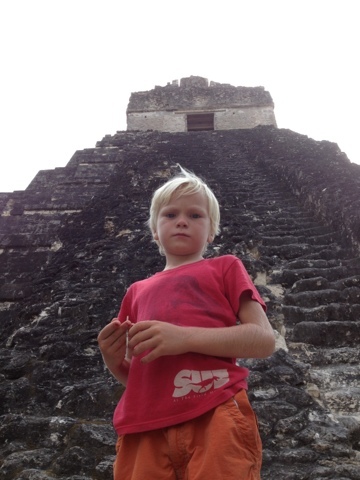 How can a 5 year old who is sailing around the Caribbean and seeing Mayan ruins be so grumpy?! ?